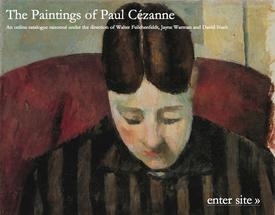 The Paintings of Paul Cézanne: An Online Catalogue Raisonné is now live! Developed by David Nash, Jayne Warman and Walter Feilchenfeldt, this is the first-ever free online database providing access to full-color images of all known paintings by Cézanne. The website will take Cézanne scholarship in an exciting new direction by permitting updates to be made quickly and regularly. The online catalogue will benefit students, scholars, curators, auction houses, and galleries as well as anyone who may want to learn about Cézanne's work. Caption credit: Portrait of madame Cézanne, c.1877 (441), Private Collection.